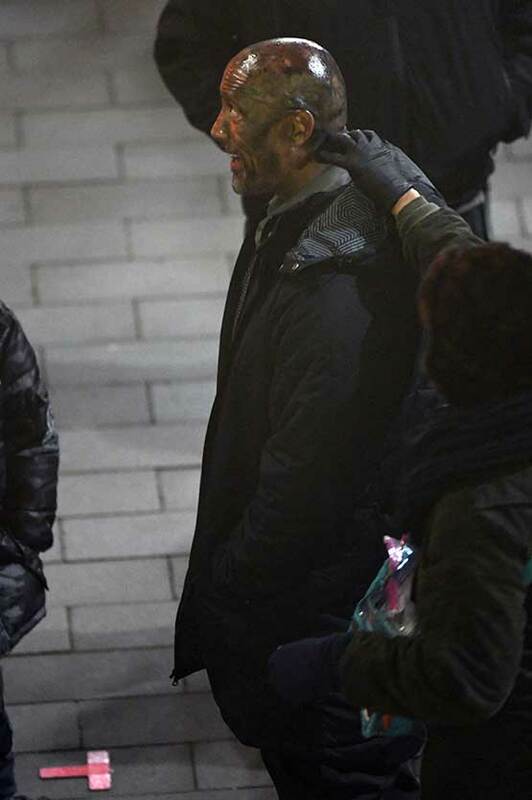 Dwayne ‘The Rock’ Johnson was spotted filming final scenes for the upcoming blockbuster Skyscraper in Vancouver, Canada! 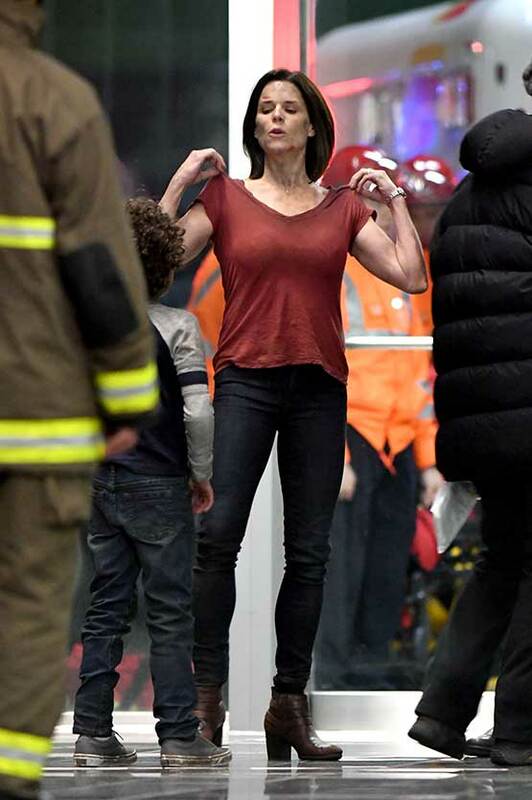 The scenes, which involved co-star and Scream actress Neve Campbell depicted Dwayne Johnson helping somebody out of a helicopter. 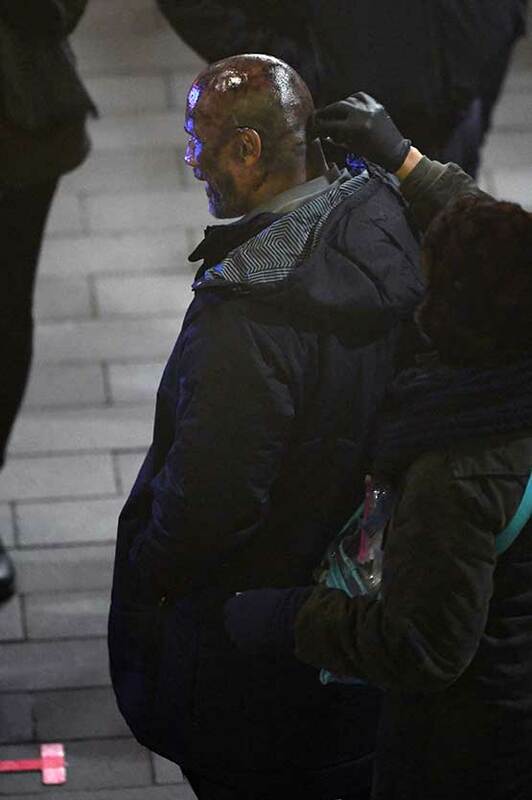 Dwayne was covered in dirt as he helped what appeared to be a member of the public out of the helicopter after being rescued in what appeared to be the Skyscraper ending. 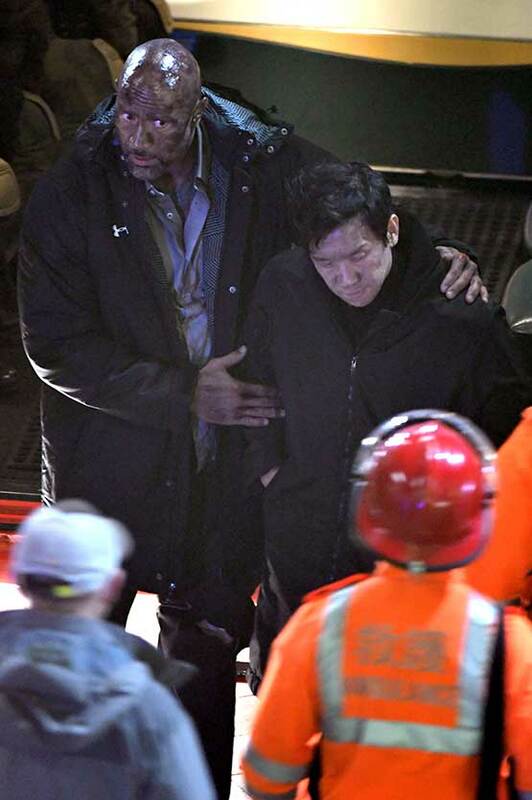 The Rock battled against a burning building, set in China to rescue his family. 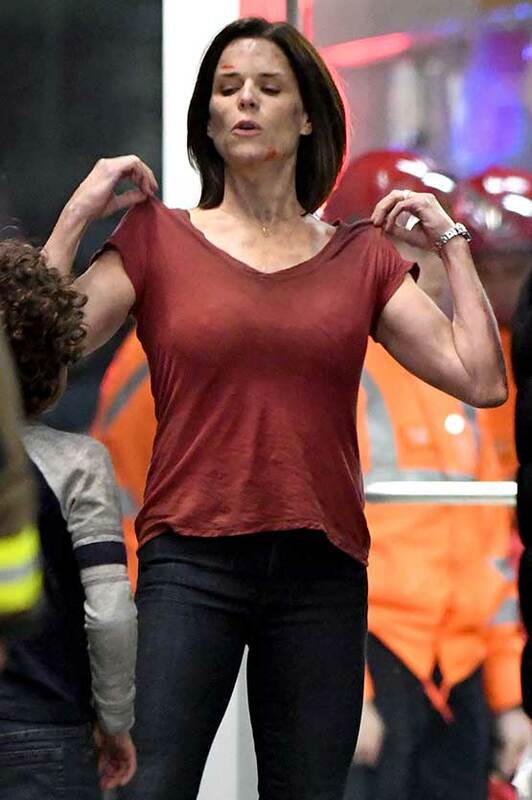 Scream star Neve Campbell also joined production and appeared bruised and battered on set of Skyscraper filming in Vancouver, Canada. 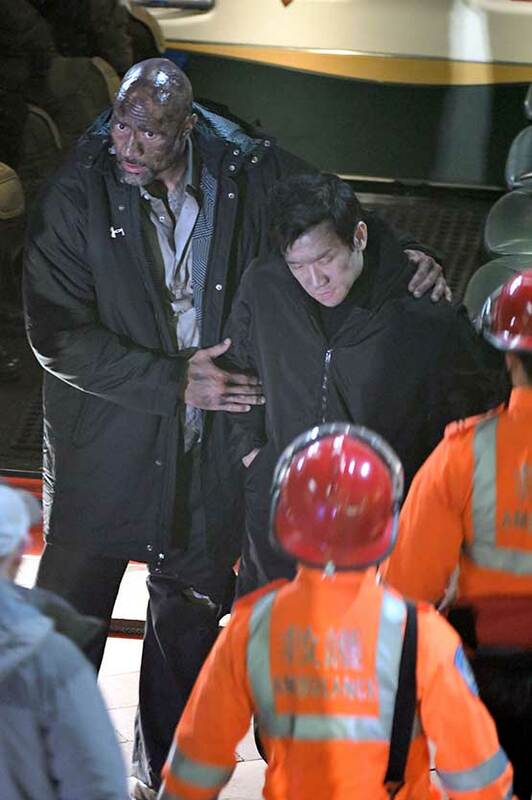 The Rock, who has 94.7 million followers on Instagram also posted from the Skyscraper set, where he appeared to struggle against one of the villains of the film. Dwayne followed the post up with some artwork while wearing a t-shirt that read ‘The Wolf is always scratching’. The Rock has been very appreciative to his fans who have stuck out long hours to catch a glimpse of the Hollywood and Wrestling superstar, posing for group pictures and Instagramming to his many followers about how much he appreciates them. 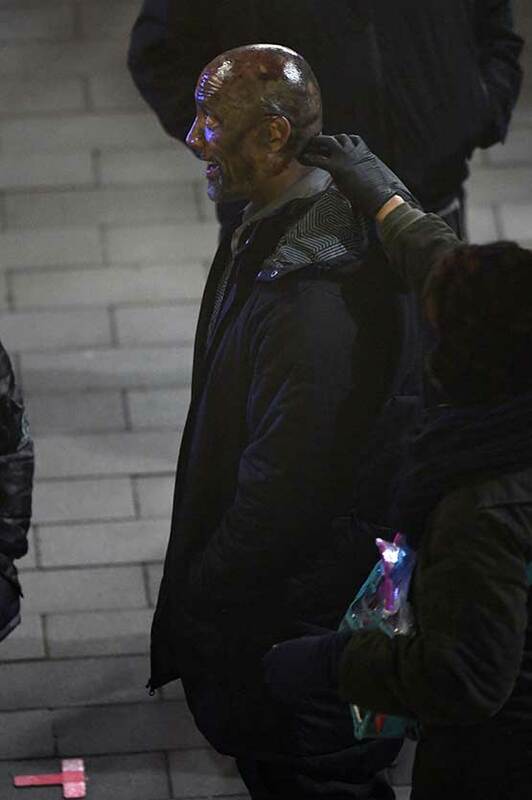 DJ also gave a shout out to the city of Vancouver saying “There’s so much love on this set, but the most important love, the biggest love that I have to share with you is kind of right over my right shoulder,” Johnson said, before instructing the camera operator to focus in on the sign. 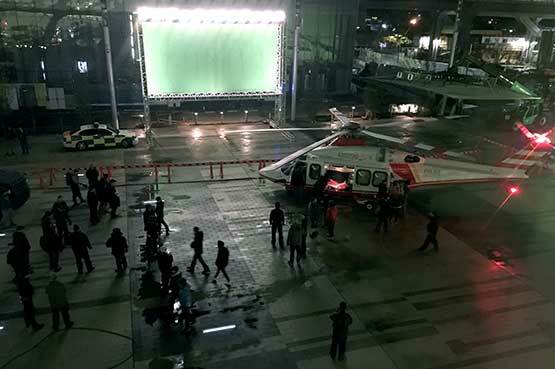 Dwayne was filming in the suburb of Surrey for the weekend and gave a shout out to the many crew that made the shoot possible. 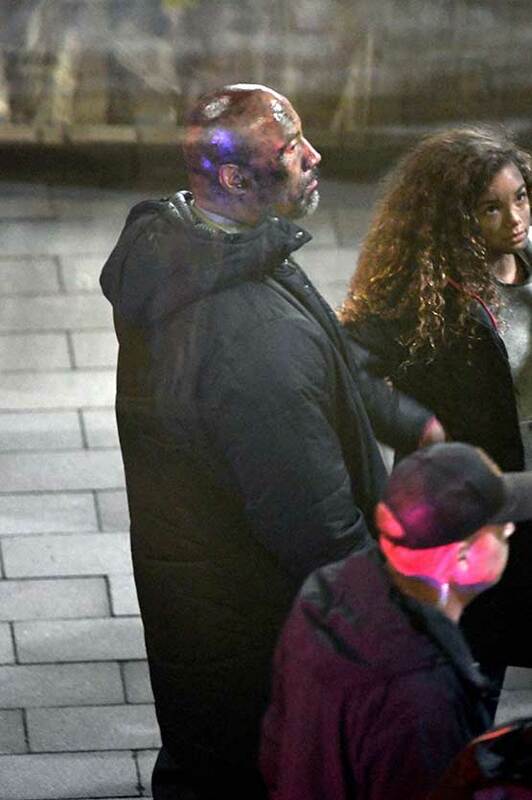 The Rock was seen filming scenes with Neve earlier in the production check out the pics above. The Rock Trivia: Did you Know The Rock made his wrestling debut under the name ‘Flex Kavana’!